The first-generation Audi Q7 was one of the highest selling vehicles in its class around the world. Now, the comprehensively updated second-gen version is here to fill the shoes and aims to do all that and more! 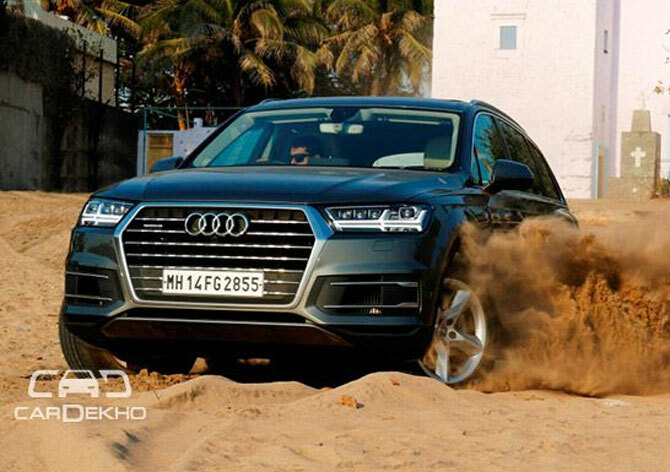 When we came to know that Audi is bringing the second generation of the Q7 SUV, we were confused rather than excited! The previous generation car which was powered by the behemoth 4.2-litre TDI diesel engine had everything one would ask from an SUV of this stature. It made us wonder: ‘What more could the Ingolstadt-based automaker offer in the new one that the old one didn’t?’ Perhaps nothing, we deduced just looking at what the last-gen car offered! Then we decided to hop on to the new Q7 hoping that Audi could prove us wrong! The USP of the first generation model was its sheer road presence and the new Q7 is no different. In fact, the discontinued model looked so intimidating that probably a majority of its sales here in India was just because of the way it looked; people here are obsessed with beefy-looking SUVs. While the new one has somewhat similar real estate, the overall stance looks a lot more mature. To begin with, the new SUV is slightly shorter (37mm) compared to the previous one and also marginally slimmer (15mm), while the height has remained approximately the same. 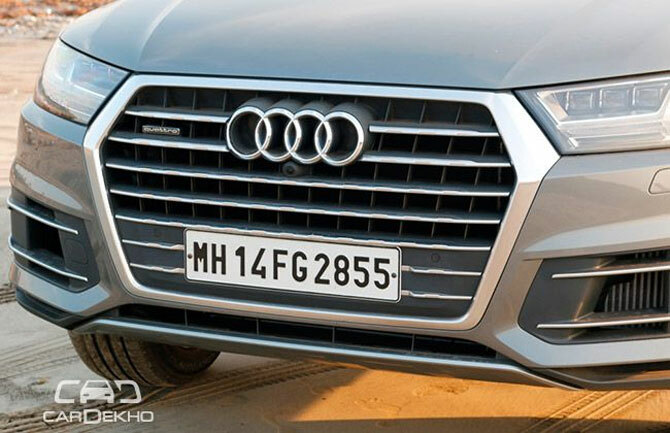 Speaking of the design, it continues to have Audi’s single-frame grille, but features a new iteration of it in which the headlights are closely linked to the grille. Audi’s new Matrix LED which features double-arrow LED daytime running graphics, of course, hog most of the attention up front. Coming to the sides, courtesy the A,B and C pillars, the second-gen SUV looks unmistakably Q7-ish. Notice the lift/off road mode in action in the picture above. 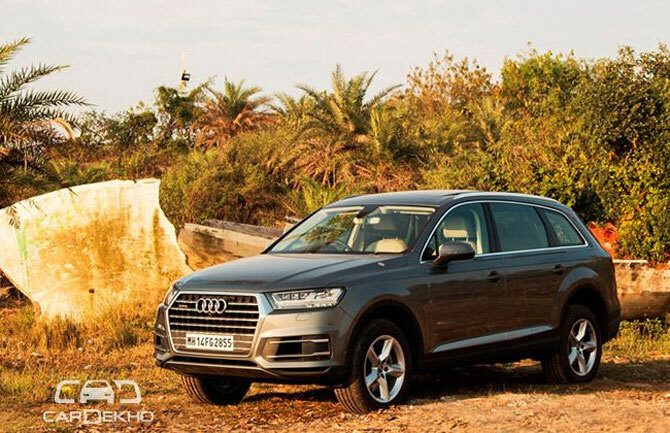 The wheel arches have gotten subtle in contrast to the older model, but still portray the Q7’s muscular lines. The multiple horizontal character lines at the back underscore the width of the second-gen Q7. The new wrap-around tail lamps mimic the double-arrow LED graphics at front and get activated when the ignition is turned on. 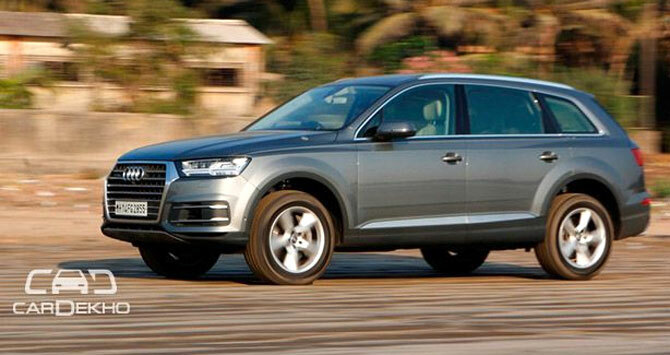 All in all, we feel that the new Q7 is a handsome-looking SUV. That said, it has certainly lost the intimidating and dominating character for the previous-gen model. This would mean a few less Q7s rolling out of the showrooms, keeping in mind the political and builder clientele that prefer beefiness over a sobered-up new Q7. But this could also mean additional sales to those who prefer a clean and elegant appearance! On the inside, the new Q7 might have shrunken a little, but it has more knee space, shoulder space and headroom than its predecessor. The older one may have had the exteriors to flaunt, but the interiors had begun to show its age. The cabin in the new Q7 looks welcoming. A large arc encompasses the front part of the interior, and draws an elegant curve from door to door. The thing that strikes you the most is the front passenger area which has a continuous air vent strip on the dashboard. Complementing the new lightweight chassis (which has shed nearly 325 kg) are the seats have been redesigned from scratch to make them nearly 19 kg lighter. The new driver seat offers a comfortable upright position and you can have as many as 18 different alterations to suit your needs. The second row of seats also provides top-notch comfort levels and offers a generous amount of space; more than what one needs. These seats come with 16 different adjustments and the backrests can split in the ratio of 35:30:35. The second row of seats can also slide longitudinally in case you opt for the optional rear seat bench. 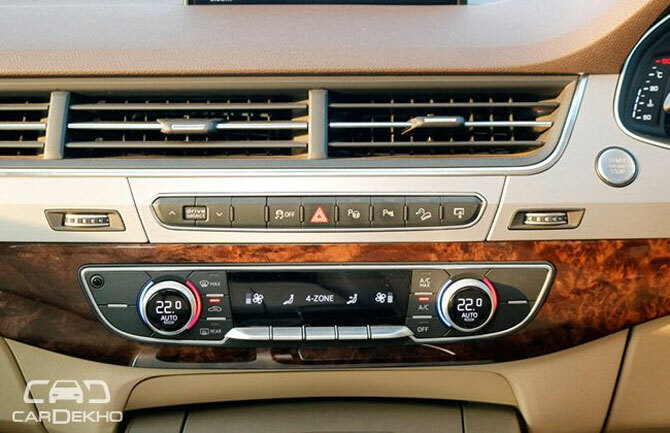 Speaking of its HVAC system, the luxury four-zone system with the temperature displays integrated into the rotary controls is standard across the Q7 range. A TFT screen showcases the vitals and a slight nudge towards the capacitive rocker switches below it enlarges the graphics. Rear passengers also get individual controls. In comparison to the older model, the loading lip in the new Q7 has been lowered by nearly 5cm. 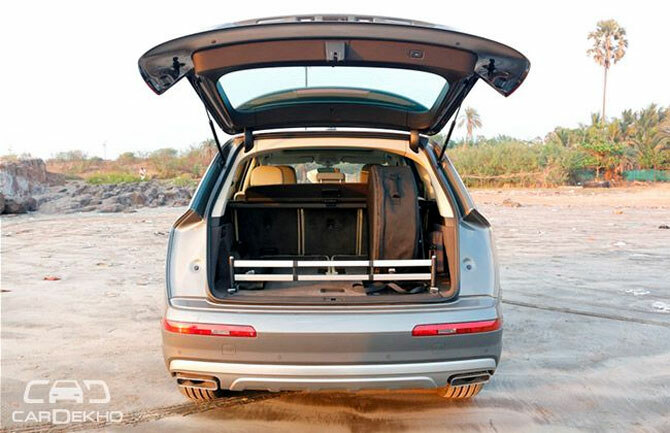 Talking about boot space, the new Q7 has a capacity of 295 litres with all the three rows upright. It offers 890 litres in its five-seater avatar and 2,075 litres with the second-row seatbacks folded down. 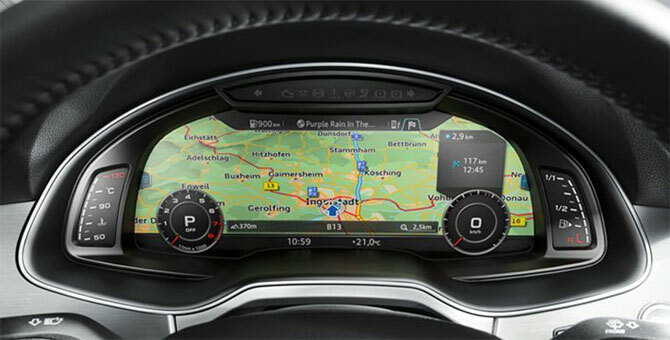 Undoubtedly, the most fascinating feature in the new Q7’s cabin is Audi’s 12.3-inch (31.24 centimetres) virtual instrument cluster. 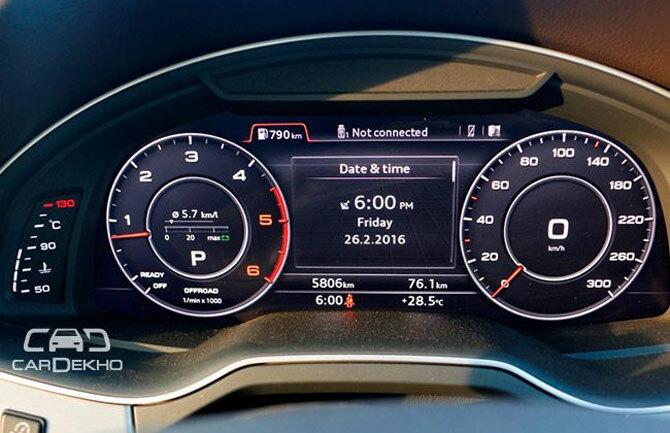 It is a razor-sharp and high-contrast customisable display offering important stuff in a single unit – navigation, speed information and media. 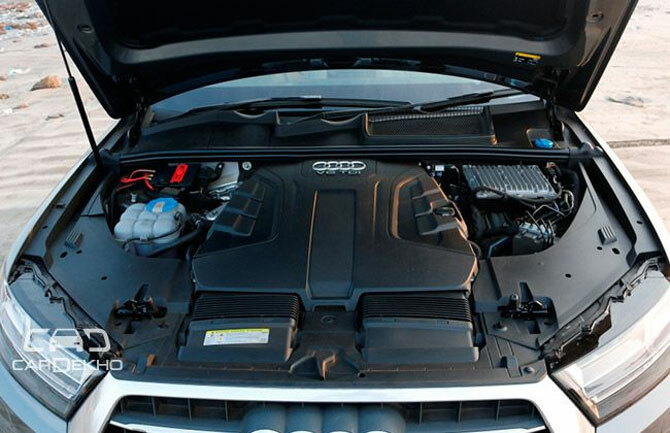 The mammoth SUV is powered by the renowned 3.0-litre TDI V6 oil burner. 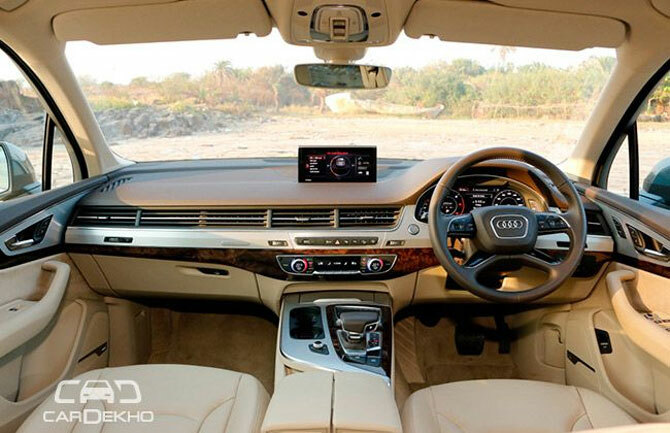 With the engine belting out 250PS @ 4500rpm and an enormous 600Nm of max torque between 1500-3000rpm, the Q7 is quick! The motor is mated to an 8-speed Tiptronic along with Audi’s ‘Quattro’ all-wheel-drive setup. The drivetrain is brand-new and undercuts the older model’s weight by 20kg. A new Quattro centre differential replaces the previous transfer case and is integrated into the 8-speed Tiptronic. 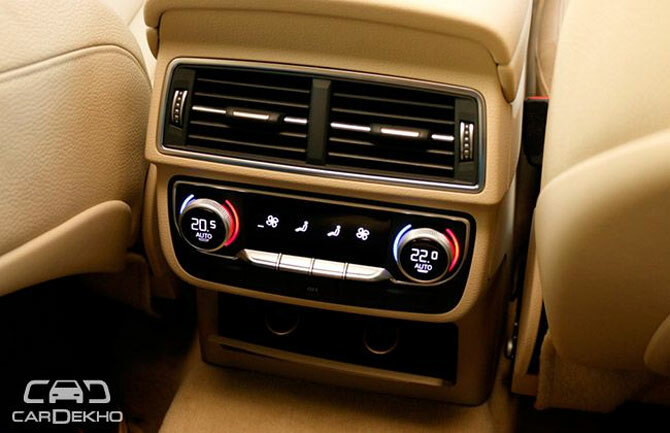 It comes with Audi’s 'Drive Select' which provides comfort, auto, dynamic, individual and off-road as standard modes. In conjunction with adaptive air suspension, the all-road and lift/off road modes are also added. 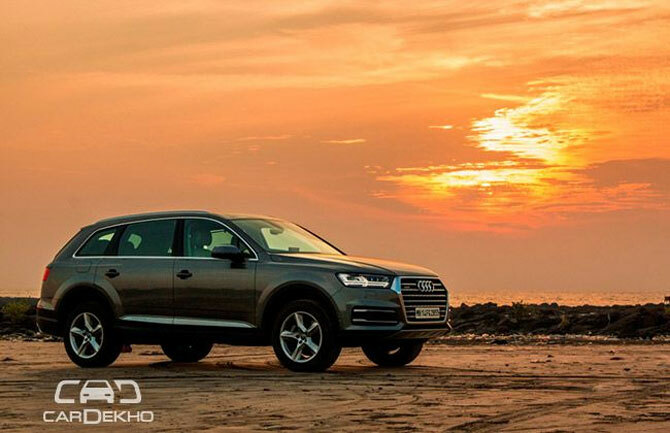 As a result, the Q7 has all the performance you need. Stomp on the pedal and it rockets to 100kmph in a claimed 7.1 seconds and go on to hit a top speed of 234kmph. Speaking of mileage, there has been a whopping 22 per cent improvement in fuel efficiency and the new Q7 offers a best in class 14.75kmpl. Drive it around and you know Audi has got its suspension setup spot on. The new Q7 simply glides over the road in the Comfort mode courtesy its adaptive air suspensions, which automatically adjusts the vehicle level and the shock absorbers at each axle according to the load. Slot it in Dynamic, the big Audi hunkers down substantially to hug the road better. Accept it, the sheer size will not make it handle like an Audi TT, but nevertheless, the Q7 will surprise you in its own way! The all new Q7 sure looks like a toned-down version of the outgoing SUV, but in all other departments, it excels over the previous generation model, along with most of its peers. It is faster, lighter and more efficient than the older SUV. Moreover, it has more features than any of its rivals, be it the Mercedes-Benz GLS or the BMW X5. The ride quality is great, courtesy the adaptive air suspension that lends Q7 exceptional balance of ride and handling. 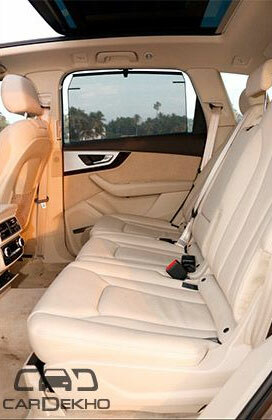 Then there are the back seats, which offer more room than the previous version. Overall, the interiors have been bestowed with an all-new MMI system and a Bose 3D sound system with a barrage of 19 speakers. Speaking of prices, the Q7 45 TDI Premium Plus is available at Rs 72 lakh, with the top-end Technology trim retailing at Rs 77.5 lakh. 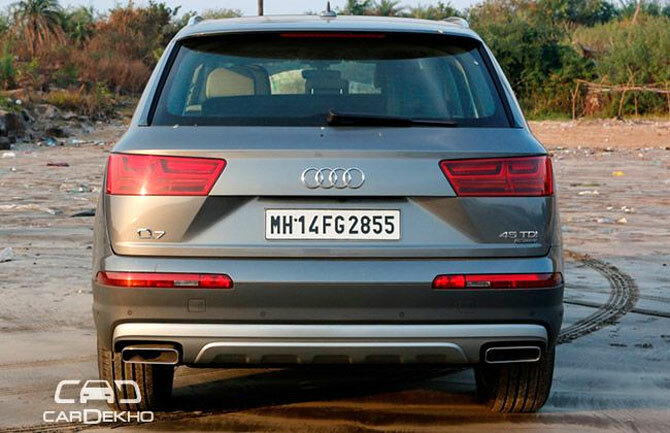 In a nutshell, the new Q7 is all set to take the nameplate to a whole new level.